Selecting the best LMS is an involved process. It all begins with an in-depth evaluation of your online training objectives, training needs, and the talents of your L&D team. This article features 7 questions to help you determine if an open source LMS is right for your organization. Many organizations choose an open source LMS because it’s free and fully customizable. But the ideal price point and creative freedom come with some significant strings attached. To make the best purchasing decision, you need to identify your expectations and assess your in-house expertise. The answers to these 7 questions can help you weigh your LMS options and determine if an open source LMS is the best choice. 1. What Is Your LMS Implementation Budget? You probably have a ballpark figure of how much you’re willing to spend on LMS implementation. However, it’s always best to create a detailed budget to account for all fees and find the ideal LMS pricing model for your organization. Open source Learning Management Systems can be cost-effective, but they aren’t completely free to customize and maintain. You must still account for L&D payroll hours, outsourcing more involved tasks, content creation, and ongoing maintenance. For example, you don’t need to pay to download the open source LMS, but you will need to allocate resources to set it up and perfect the code. On the other hand, many paid cloud-based options are ready to go once you sign up. 2. Is Customization A Top Priority? An open source LMS is fully customizable…if you have the right skills and expertise. You’re able to adjust the code to suit your training needs and incorporate your branding. In fact, you have the freedom to mold the LMS into anything your organization requires. However, this is often a time consuming and involved process that requires a dedicated team of knowledgeable programmers. At the very least, team members who are ready and willing to learn the ropes. 3. Does Your Team Have IT Experience? As I mentioned earlier, you must be aware of the skills necessary to properly implement an open source LMS. You need to have an experienced team on hand with a sufficient amount of IT expertise. If not, you will either need to train them or outsource certain tasks to LMS vendors that do have the time and talent, unlike other LMS licensing options that typically require minimal IT know-how. Before you start your LMS search, evaluate the skills and abilities of your L&D team. You can also solicit their opinions to find out which systems they’ve used in the past and how they fared. 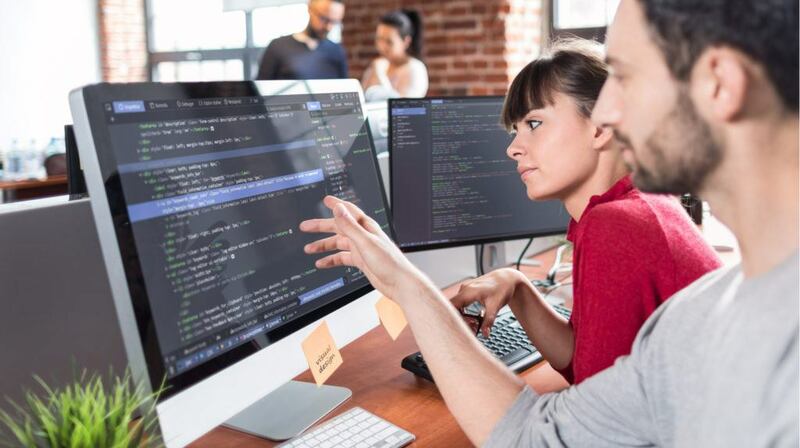 For instance, they worked with an open source LMS and found it difficult to customize or they felt it was too time-consuming to fix coding glitches on their own. 4. What Level Of Support Do You Require? It’s not that open source systems don’t offer any support services, it’s merely a different level. Most paid options come with more advanced support, such as email contacts or toll-free phone assistance, which aren’t usually included in the package with free platforms. That said, many open source Learning Management Systems have active user communities and online databases where you can find helpful tips and insights. For example, FAQs, online training tutorials, and online discussion groups to troubleshoot issues when they arise. 5. How Quickly Do You Need To Launch Your Online Training Program? The challenge with open source Learning Management Systems is that they usually do require more set-up time. Downloading the code may be quick and stress-free, but then you need to customize the system. Not to mention, train your staff on how to use it and deal with a steep learning curve in some cases. An open source LMS may not be the best option if you need to deploy your first online training module within a matter of days. Possibly to prepare employees for your product launch or introduce them to new industry regulations. Thus, if you’re looking for rapid turnaround times, a cloud-based system might be the ideal choice. 6. Do You Want To Maintain The System Yourself? One of the perks of open source Learning Management Systems is also a drawback, depending on your online training needs. You do have to maintain the system yourself, which means that you don’t have an LMS vendor to provide regular updates or upgrades. Then again, you don’t have to wait for the LMS vendor to release the next version or add-on because you can do it yourself. Your L&D team has the ability to custom tailor the tool to keep current with tech trends and evolving training needs. The caveat is that you must frequently research your industry and eLearning technologies. Otherwise, your online training program may not be able to live up to the expectations of modern learners who expect cutting-edge resources. 7. Which eLearning Authoring Tools Do You Currently Own? You need to take stock of your eLearning toolbox to determine which LMS meshes with current software. For example, your go-to eLearning authoring tool may not be compatible with the new system, which requires you to purchase a replacement or try to troubleshoot the issue so that you can upload online training content. If not, you’ll have to spend even more time and resources vetting other Learning Managemet Systems to find a complementary platform. In fact, you may even end up purchasing a subscription or licensing-based system to avoid the compatibility headaches altogether. When in doubt, ask the LMS vendor or user community about specs and supported formats. An open source LMS may be free to download, but there are other costs of ownership to consider. Your objectives, in-house talent, and support needs are also crucial factors in the decision-making process. 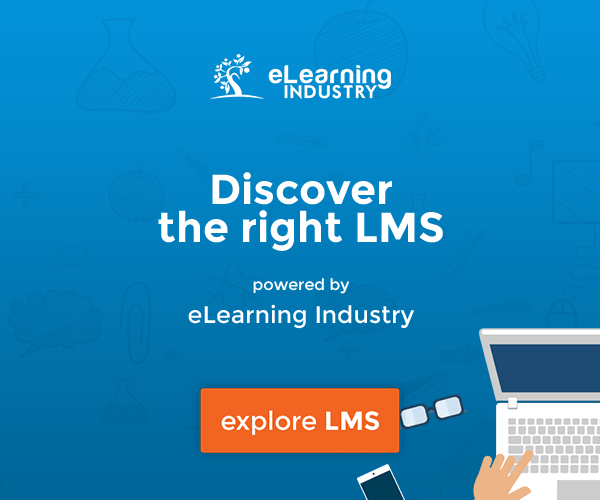 Many paid LMS solutions allow you to test out their features with a free trial, which gives you the opportunity to scope out all available options to find the best pricing model for your online training course. If you are looking for a new Learning Management System for your eLearning course, read the article Top 8 Features To Look For In An Open Source LMS to discover the top features you should consider for your next open source LMS so as to incorporate your branding and personalize every aspect of your eLearning course design.